The city of Dover and the state of New Hampshire are mourning the loss of U.S. Army Ranger Corporal Andrew A. Aimesbury. 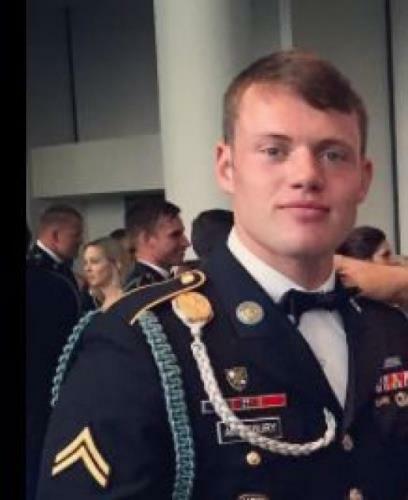 Andrew died during a live-fire exercise in Fort Stewart, GA. His funeral will be held on Saturday at the Dover Baptist Church and Governor Maggie Hassan has ordered flags to half-staff in New Hampshire in his honor. Andrew enlisted in the U.S. Army in January 2013 and graduated from the Ranger Assessment and Selection Program. He was serving as Team Leader to Company D, 1st Battalion, 75th Ranger Regiment. He completed one tour of duty in Afghanistan. His awards and decorations include the Ranger Tab, Expert Infantryman’s Badge, the Parachutist Badge, and the Marksmanship Qualification Badge Expert-Carbine. Andrew has also been awarded the Army Good Conduct Medal, National Defense Service Medal, Afghanistan Campaign Medal with Campaign Star, Global War on Terrorism Service Medal, Army Service Ribbon, and the NATO Medal. Andrew and his sister Abby went to Dover High School. 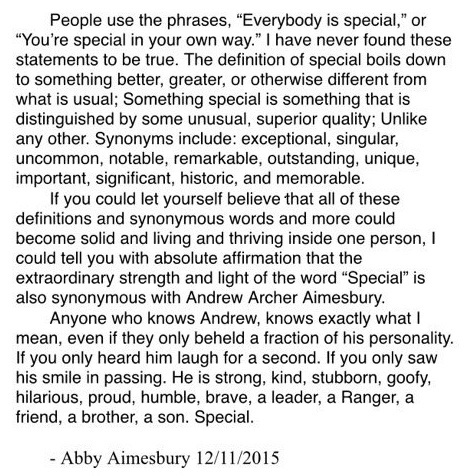 Abby wrote a beautiful tribute to her brother that I hope everyone has a chance to read. The ranger motto, “Sua Sponte” means “Of their own accord.” The phrase recognizes the fact that a ranger volunteers three times; for the Army, for Airborne School, and for the Ranger Regiment. Andrew was an exceptional Ranger and a wonderful human being. He will be deeply missed by all of those who knew and loved him. Three BIG events are coming up in January! January 2, 2016 – The Second Miss New Hampshire Day at the Monarchs with the Stanley Cup! Tickets are just $20 each. Email me at BeAwesomeKat@gmail.com to reserve your seats. If you are looking for a special holiday present or stocking stuffer, tickets to these fun events would make a great gift!